According to Andy Feinberg, M.D., M.P.H., Gilman scholar, professor of molecular medicine and director of the Center for Epigenetics at Hopkins' Institute for Basic Biomedical Sciences, the addition of DNA methylation to genes has long been shown to play an important role in regulating gene activity in changing biological systems, like fate determination in stem cells or the creation of cancer cells. Curious about how epigenetics might contribute to behavior, he and his team studied a tried-and-true model of animal behavior: bees. Working with bee expert Gro Amdam, Ph.D., associate professor of life sciences at Arizona State University and the Norwegian University of Life Sciences, Feinberg's epigenetics team found significant differences in DNA methylation patterns in bees that have identical genetic sequences but vastly different behavioral patterns. Employing a method that allows the researchers to analyze the whole genome at once, dubbed CHARM (comprehensive high-throughput arrays for relative methylation), the team analyzed the location of DNA methylations in the brains of worker bees of two different "professions." 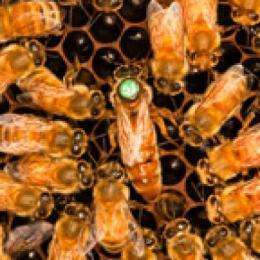 All worker bees are female and, within a given hive, are all genetically identical sisters. However, they don't all do the same thing; some nurse and some forage. Nurses are generally younger and remain in the hive to take care of the queen and her larvae. When nurses mature, they become foragers that leave the hive to gather pollen and other supplies for the hive. "Genes themselves weren't going to tell us what is responsible for the two types of behavior," Feinberg says. "But epigenetics – and how it controls genes – could." Feinberg and Amdam started their experiment with new hives populated by bees of the same age. That removed the possibility that any differences they might find could be attributed to differences of age. "When young, age-matched bees enter a new hive, they divvy up their tasks so that the right proportion becomes nurses and foragers," explains Amdam. It is these two populations that were tested after painstakingly characterizing and marking each bee with its "professional," or behavioral, category. Analyzing the patterns of DNA methylation in the brains of 21 nurses and 21 foragers, the team found 155 regions of DNA that had different tag patterns in the two types of bees. The genes associated with the methylation differences were mostly regulatory genes known to affect the status of other genes. "Gene sequences without these tags are like roads without stop lights – gridlock," says Feinberg. Once they knew differences existed, they could take the next step to determine if they were permanent. "When there are too few nurses, the foragers can step in and take their places, reverting to their former practices," says Amdam. The researchers used this strategy to see whether foraging bees would maintain their foraging genetic tags when forced to start acting like nurses again. So they removed all of the nurses from their hives and waited several weeks for the hive to restore balance. That done, the team again looked for differences in DNA methylation patterns, this time between foragers that remained foragers and those that became nurses. 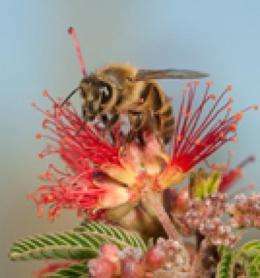 One hundred and seven DNA regions showed different tags between the foragers and the reverted nurses, suggesting that the epigenetic marks were not permanent but reversible and connected to the bees' behavior and the facts of life in the hive. Dramatically, Feinberg noted, more than half of those regions had already been identified among the 155 regions that change when nurses mature into foragers. These 57 regions are likely at the heart of the different behaviors exhibited by nurses and foragers, says Amdam. "It's like one of those pictures that portray two different images depending on your angle of view," she says. "The bee genome contains images of both nurses and foragers. The tags on the DNA give the brain its coordinates so that it knows what kind of behavior to project." The researchers say they hope their results may begin to shed light on complex behavioral issues in humans, such as learning, memory, stress response and mood disorders, which all involve interactions between genetic and epigenetic components similar to those in the study. A person's underlying genetic sequence is acted upon by epigenetic tags, which may be affected by external cues to change in ways that create stable – but reversible – behavioral patterns. Bees communicate colony status to each other via pheromones ie scent. So it would be interesting to see how pheromone balance in the hive affects DNA methylation. Scent is known to have huge effects on behavior in various animals including humans. Next step: behavior modification via scent.